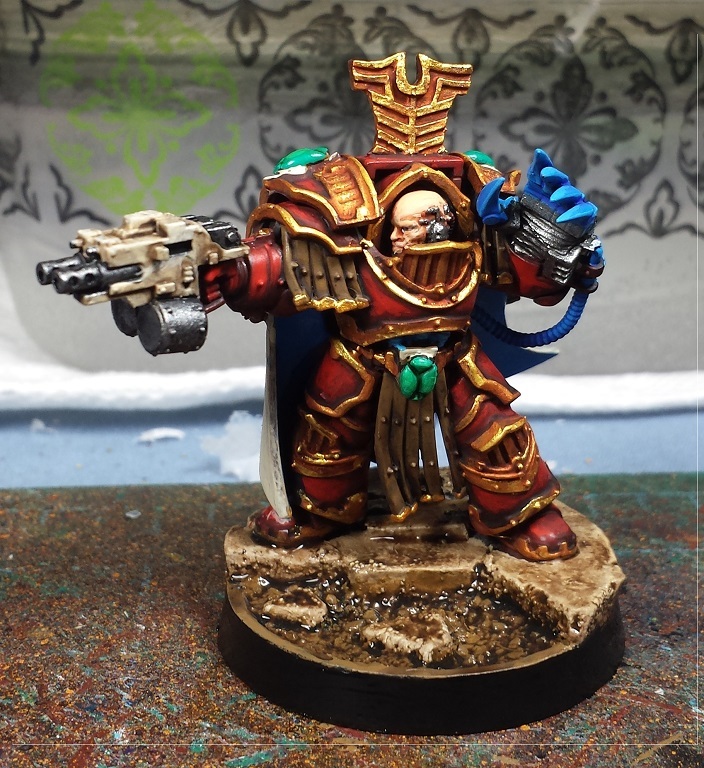 Mordian 7th Regiment: Heresy Era Thousand Sons - Cataphractii Centurion (almost) painted! Heresy Era Thousand Sons - Cataphractii Centurion (almost) painted! Pretty busy week, but I did manage to squeeze in a little painting time and whipped up a test model using the Cataphractii Praetor. 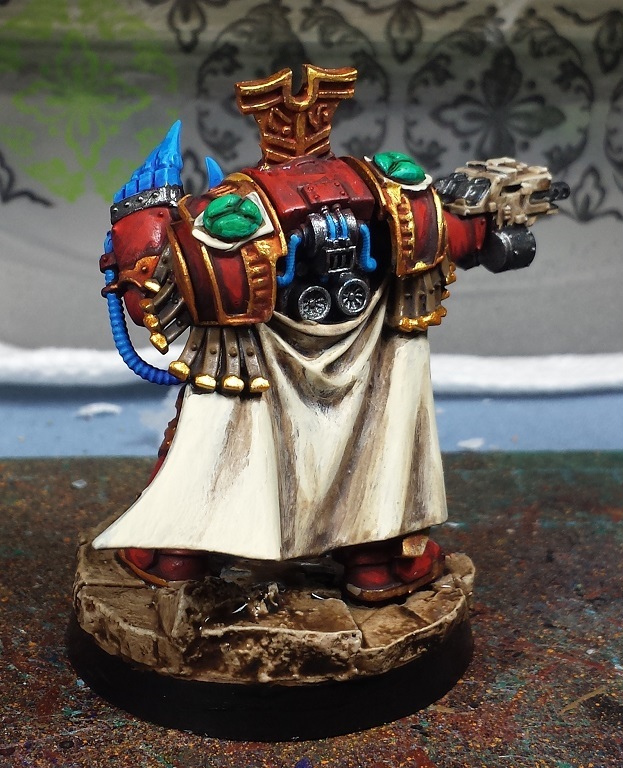 I'm really digging the metallic red scheme that Forge World has been showing off for their upcoming Thousand Sons line, but as there's still a fair number of models left over from the previous project this army will continue to utilize the recipe I've used in the past. Just means that when I'm done with this army, I'll just have to sell it and immediately start a brand new one with the airbrushed metallic scheme, right? Speaking of metallics, in retrospect I do feel I sort of phoned in the gold on the last army of Thousand Sons, so I'm going to be spending a bit more time on it in the new iteration. Pretty happy with the added depth it gives the gold on the terminator here. ...And I didn't totally botch a face for a change! Going to try out the black-rimmed bases on this army instead of my usual reddish-brown, as it had been commented that it blended in with the reds of the models too much. It definitely does seem to make the model 'pop' a bit more than the previous efforts, which is nice. Still have some further detailing to do, as well as flocking and possibly adding some water effects as an experiment (never have tried it before), but overall I'm reasonably pleased with it so far! Awesome jb. I'm really digging that blue glow! Those scarabs came out looking pretty good. Look forward to the finished model. Lovely work as ever my man. Great to see the progress on it. @Zab: Thanks! 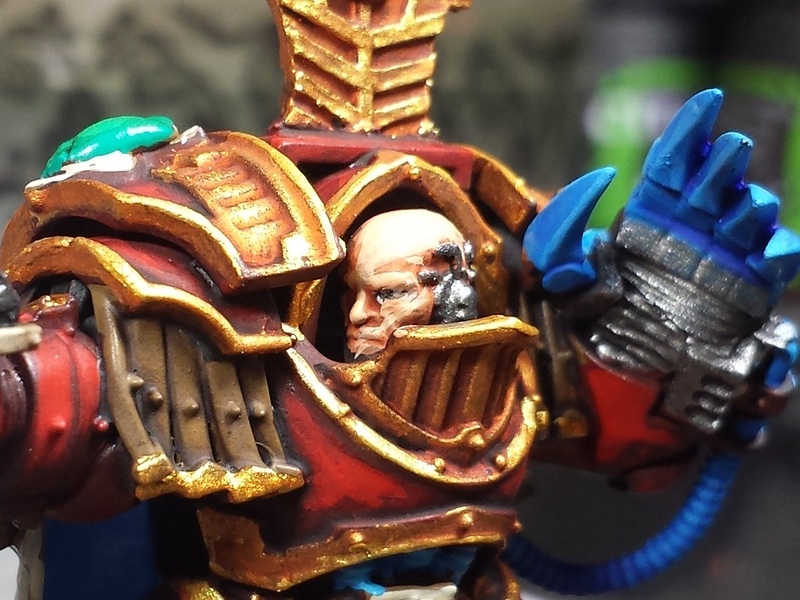 I'm trying to find the right balance between a more step-intensive look while being able to maintain a decent speed - I have just shy of a hundred marines planned. Eep! @J. D. Brink: Thanks very much! @Rory Priest: Hah! Yep, gotta sell the finished stuff to afford new shiny stuff - keeps the hobby train chugging along! @davetaylor: Indeed! Been slowly gathering bits and kits behind the scenes for the last six months, and as soon as the bases from DragonForge arrive (sadly likely not for another month or more) there's going to be an avalanche of crimson and gold! O man, if this is an example of how you're going to have these buggers look, then this is going to end up a sweet army! Black base edging all the way btw.